The Operation Smile mission site in Antsirabe Madagascar is a hive of activity with volunteers and partners working together to screen 212 patients, and 133 were able to be placed on the surgical schedule. These patients will now receive life-changing surgery over the course of the week. Operation Smile explains that patients who were unable to be assisted on this mission were provided with clear reasons and encouraged and assisted with the necessary information regarding future missions and care. Operation Smile is celebrating its 10th anniversary of working in Madagascar with a multi-site mission taking place from the 12-22 of April. South African volunteers have once again returned to the island bringing their host of skills to sites in Antananarivo, Antsirabe, Majunga and Tamatave. The 19 volunteers include both medical and non-medical role players with plastic surgeons, anaesthetists, dentists, nurses and many others offering up their time and expertise. — Tamlin Abrahams, Operation Smile Regional Director for Central, Western and Southern Africa. The mission aims to perform 325 surgeries over the course of the week. 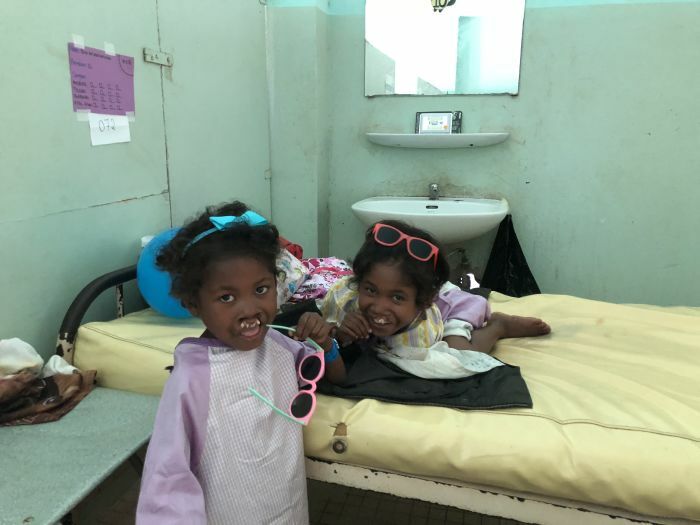 The Operation Smile mega mission to Madagascar continues to move forward with patients across the island receiving the opportunity to access life-changing care. The mission site at Majunga is one of the newest ones but has fast found its feet, and on Tuesday completed 16 surgeries. These comprised 11 cleft lip repairs and 5 cleft palate repairs. The second day of surgeries went on without a hitch and with little to no turnover time thanks to a top-class medical team including clinical coordinator Connie Chiles (USA), and a fantastic anaesthesia team including Vincent Chau (USA), Christian Kampik (South Africa), Clover Ann Lee (South Africa), and Neville Botha (South Africa). Incredible stories and inspiring moments took place across all four sites of this 10-year anniversary mission. With a total of 55 surgeries done at the three other sites, a massive 66 lives were changed and countless families and communities affected. A Guinness World Record attempt towards funding a cleft lip and or cleft palate surgery.